Over the last several months, I’ve managed to learn some self control when it comes to impulse purchases. I very rarely pick something up, think it looks pretty and buy it blind. This lovely little thing however, stole my heart at first glance and I simply had to have it. I mean come on, gold and purple?! 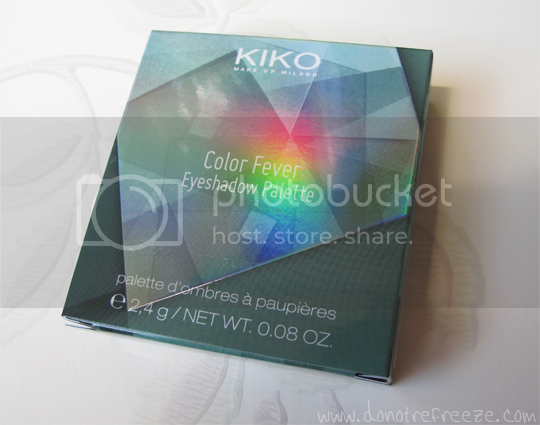 This Colour Fever Eyeshadow Palette in Luxurious Gold & Plum is part of Kiko’s Dashing Holidays winter collection. I didn’t really go in blind, since I’ve tried Kiko’s eyeshadows before and know that they’re gloriously pigmented and super blendable. They’re actually astoundingly good quality for the price, so I had an inkling I’d love it. Luckily I was right! 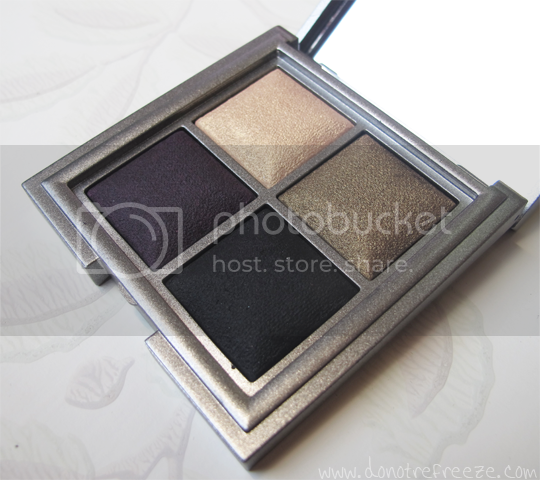 The colours inside are SO me, and I love the holographic box – gorgeous. It also comes in a grey velvet style pouch inside the box, which makes it feel much more expensive than its £12.90 price tag. I’m sure you can sympathise with how difficult it is to get EOTD photos at this time of year, particularly when you leave the house before sunrise and get home way after sunset.. but hopefully a description of the way I’ve been using the shadows will suffice. 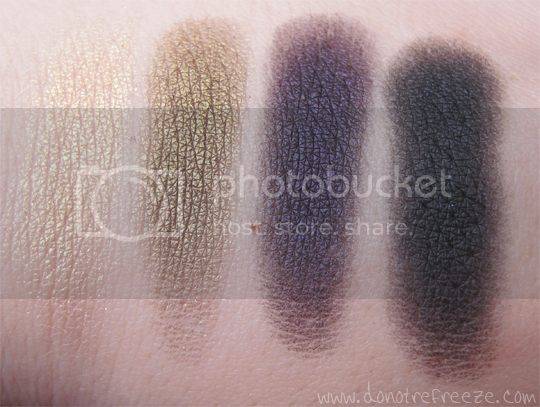 I like to use the lightest gold over the lid, with the darker gold in the crease and darkened up in the outer corner with the black (this is a GREAT black eyeshadow by the way). Then I apply Stila Smudge Stick in Tetra (a purple pencil liner) along the upper and lower lashlines and smudge the purple shadow over the top of it and smoke it out. Black kohl in both waterlines, mascara and a matte skintone brow highlight finish it off for a quick but glamourous (and rather festive) eye look. 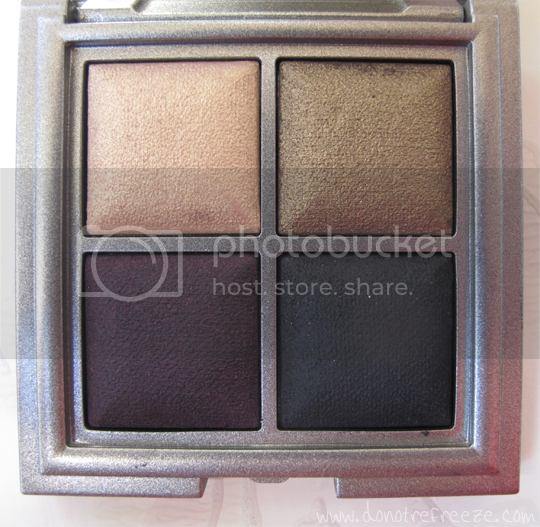 Honestly I can’t recommend this enough, there’s a bunch of different colour options for the Colour Fever eyeshadow quads so you’re bound to find one that’s right up your street. As mentioned, I paid £12.90 for mine which is already a great price but I’ve just spotted that they’re currently £9 each online so now is the time to grab one! Are you a fan of Kiko’s makeup?